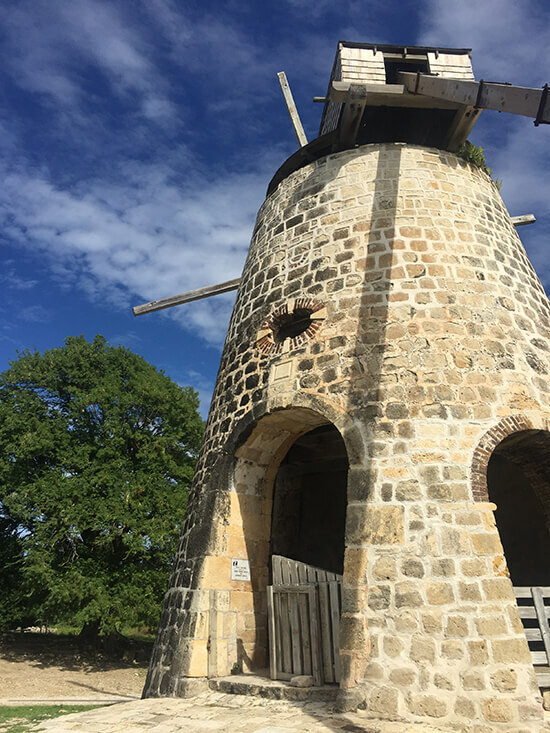 On the east side of the island you’ll find Betty’s Hope, Antigua’s most prosperous sugar plantation. Established in the 1650s, it flourished (in part, due to slave labour) for over 250 years. Following the decline in the sugar trade, the estate fell into disrepair and was only restored in the 1990s. Today, visitors will find a scattering of ruined buildings, an insightful museum (in the old stable block) and two impressive windmills (one complete with sails). The brief but educational history of the island’s slavery trade and sugar industry is both moving and a must-see. Further east, you’ll discover Antigua’s wild side. In contrast to the aesthetically-pleasing, bright-white beaches is the country’s rough, remote Devil’s Bridge. 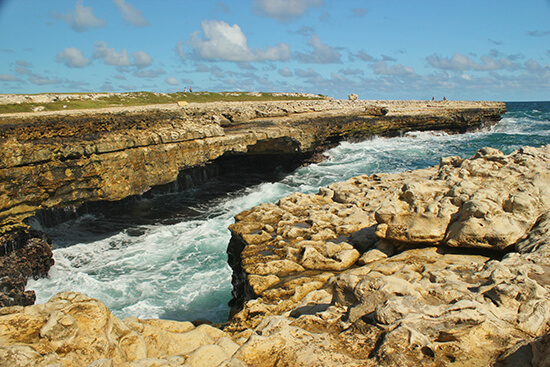 Caused by wind and salt erosion, the limestone rocks have crumbled away to leave a 10-metre-long by two-metre-high ‘bridge’. Endless waves crashing in from as far away as Africa have left an impressive natural rock formation. There is also a blowhole close by, producing sporadic spouts of seawater; the rougher the waves, the more impressive the water show. Home to the world’s second-largest nesting colony of frigate birds, Antigua’s tiny sister island, Barbuda, is an ideal spot for wildlife-watchers and keen birders. 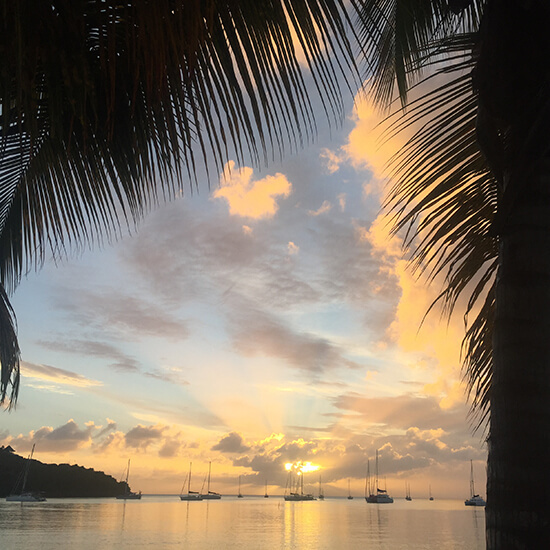 Catch a daily catamaran across to the island independently from St John’s or as part of an organised tour. Make for Codrington Lagoon: a 12-mile cove and home to the Frigate Bird Sanctuary. Visit in December for the peak of the mating season, when you'll see the male birds puff out their striking red pouches and hear their high-pitched squawking sessions. Visit out of season (May-August) and there’ll still be over 120 alternative bird species to spot. Locals say there are 365 beaches on Antigua – one for every day of the year – which makes it hard to pick which few to see while you’re travelling here. Stop by Half Moon Bay, often touted as one of the world’s most beautiful stretches of sand. This sheltered cove, arching in a perfect crescent of soft light-pink and white sand, is secluded, calm and quiet. Bordered by rugged dunes and vegetation, it also makes a more isolated spot, compared to the development-backed beaches along the southwest coast. When you need refreshment, a nearby beachfront shack selling cool beers and Caribbean dishes will provide the perfect pit-stop. If you like to shop, the capital’s Redcliffe Quay is for you. One of the oldest parts of St John’s, the waterfront hosts a collection of respectfully restored buildings, providing an incredible example of West Indian-Georgian architecture. Here you’ll find pretty cafés, restaurants and shops, selling everything from paintings to clothes, trinkets and jewellery. Antigua offers plenty of options for the thrill-seeking traveller. Stand-up paddle boards and jet skis are available to rent from some of the busier beaches (Jolly Bay, included). In more remote locations, wind-surfing is ideal. The main draw here, however, is the abundant diving and snorkelling sites. Fringing coral reefs and over 300 wrecks scattered on the seabed – there’s plenty to dip below the water’s surface for. Most hotels have their own diving centres, or are partnered with one. Otherwise, you’ll find PADI-certified shacks along most of the more developed beachfronts. Options here cater for all abilities, from those looking to snorkel to licensed divers. The best way to get off-the-beaten-track is to do it under your own steam. Rent a scooter for the day and you can tour the entire island, stopping at roadside shacks selling pineapple juice or in little-known villages along the way. Just make sure you hit the road with an experienced driver: the roads are littered with potholes. Alternatively, buggies and cars are easily rented too. 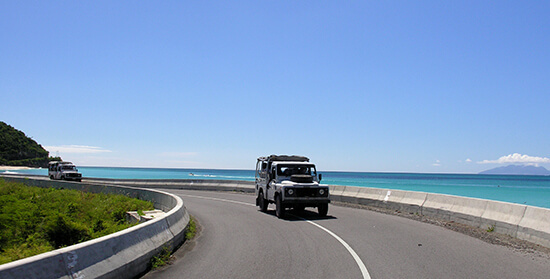 You’ll find vehicles for hire in the main tourist centres like English Harbour and Jolly Harbour. Make an appointment with one of our Travel Experts and start planning your tailor-made Antigua holiday today.